The Interregional Academy of Personnel Management (IAPM) was created in 1989 as higher educational and the research establishment, professionally deals with management and business problems. The Academy training students from 39 countries of the world. The Interregional Academy of Personnel Management is a modern higher educational institution with more than twenty years' experience that confirms its stability and public recognition. 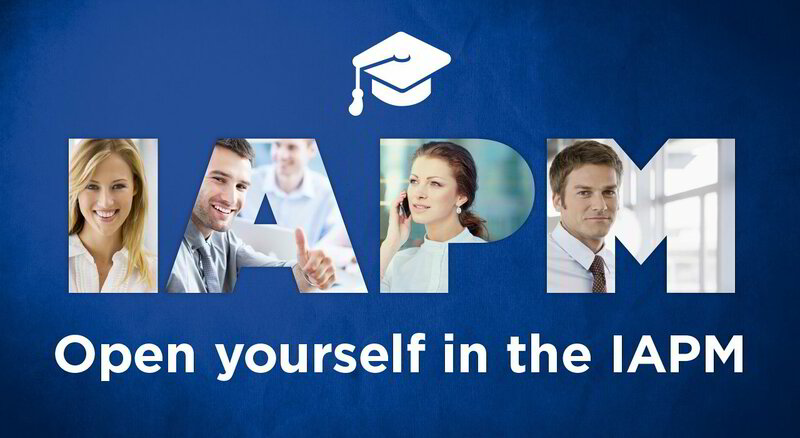 Now IAPM is the greatest economical liberal arts college of Ukraine which carries out preparation and retraining of experts in 20 specialties, 101 specialization on 10 branches and 15 directions. Today IAPM is licensed and accredited college by the Ministry of Education and Science of Ukraine on the highest IV level of accreditation with the right of issue the diplomas about the higher education of the state sample. Managers of production and business, financiers, marketing specialists, sociologists, psychologists, lawyers. The Interregional Academy of Personnel Management is the member of the International Personnel Academy (IPA) - the international public organization, and also the International association of universities of the European network of universities of continuous education (EUCEN). 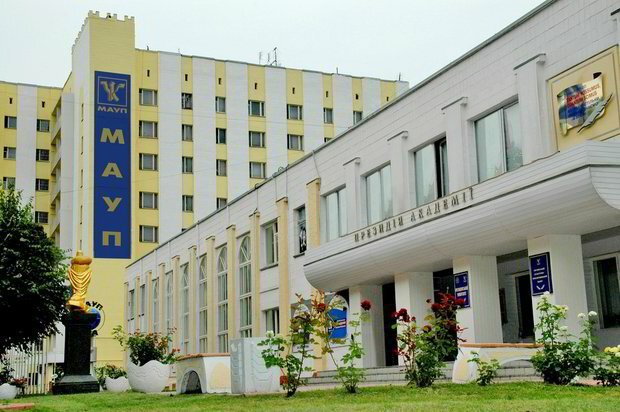 Presidential University (Kiev); All-Ukrainian University (institutes, branches and offices in all regions of Ukraine); International Open University (foreign branches); the Graduate School, Doctorate, Teleuniversity, Colleges of Law and Economics, Lyceum (5-11 grades), Computer courses, Courses of foreign languages, the Yaroslav the Wise Library and Information Centre, Personnel agency and Driving school. Graduates of the Academy gain the diploma about the higher education of the state sample and the diploma issued according to the international requirements, with assignment of qualification of the junior specialist, the bachelor, the specialist and the master. Teaching staff includes 1134 employees, 46 are Doctors of Sciences, 484 are Candidates of Sciences, Docents, 4 Honoured Workers of Public Education of Ukraine, 4 Honoured Scientists of Ukraine, 1 Honoured Jurist of Ukraine, 5 Merited Educators; 38 lecturers are the full members of the Academy of Sciences, 17 are the corresponding members of the branch-wise academies of sciences, 3 Honoured Inventors of Ukraine, 2 Honoured Worker of Education of Ukraine, 1 Honoured Master of Sports of Ukraine, 2 Honoured Coaches of Ukraine, 1 Honoured Workers of Culture of Ukraine, 12 Masters of Sports of Ukraine. TNEU - the only Ukrainian higher educational institution VI level of accreditation, which has the branch abroad - in Yerevan, the capital of Armenia where study over 500 Ukrainian students. Today the Ternopil National Economic University is a diversified educational scientific complex which includes 14 faculties (finance, banking business, agrarian economy and management, the international business and management, economy and management, the account and audit, computer information technologies, the Ukrainian and Netherlands faculty of economy and management, the Ukrainian-German economics department, faculty of law, faculty of pre-university preparation, postdegree and master preparation, the New Volynsk faculty, Samborsky faculty of the applied software, Kalushsky faculty and 3 institutes which train specialists in 9 directions, 22 specialties, 46 specializations, 68 chairs, Educational and Consulting centers. Annually the faculty publishes more than 2000 scientific works, including more than 50 monographs and textbooks. At faculties of the Ternopil National Economic University study foreign students from the different countries of the world. An important aspect of world recognition of educational institution is a membership of scientists of university in the European association of the international education (Amsterdam, the Netherlands). The partners of TNEU in the European association of the international education are the Great Britain, Poland, Bulgaria, France, the USA, Canada, China, Greece. The university takes part in the General European projects together with universities of Frankfurt am Main (Germany), Rotterdam (Netherlands), Lyon (France), La Zapienza, Mak Gill (Canada) and other higher educational institutions. Material base: 11 educational and laboratory buildings, 3 sports, 3 economic and auxiliary buildings and 5 hostels. An important structural divisions of TNEU are the Recreation center, the Museum of history of University and edge economy, the Research center of history of money, the center of physical culture, "Economic Thought" publishing house, library of electronic resources. Students have access to electronic libraries of the Great Britain, Orkhusk business school (Denmark). Here are the sanatorium for 50 persons, therapeutic, dental, physiotherapeutic offices, and also offices of massage, physiotherapy exercises, procedural, reflexotherapies, heattreatments, hydropathic department, aerofitory, dining rooms, cafe, etc. College of Chertkovsky institute of business. Kalushsky college of economy, law and information technologies. Preparatory Department for Foreign citizens implements the concept of integration of Ukraine in the field of higher education and science activity is carried out within the framework of intergovernmental and interdepartmental agreements with many countries. Foreign students study Ukrainian language, mathematics, economic and social geography of the Ukraine. Training of students is carried out on the basis of the programs approved by the Ministry of Education and Science, youth and sports of Ukraine and lasts one academic year. At the end of the academic year listeners of preparatory office for foreign citizens pass final examinations. Students who successfully passed examinations, given the certificate of the state sample according to which they can be enlisted in higher educational institutions of Ukraine by results of entrance tests. TNEU won the first place among all economic higher educational institutions ІІІ-ІV level of accreditation on an index of the international activity which pays off the Ministry of Education and Science, youth and sports of Ukraine within an assessment of a global rating of Higher Education Institutions. In 2011 TNEU called "The leader of national education" for long-term scientifically – pedagogical activity and awarded by a gold medal in the nomination "The International Cooperation in Science and Education". In 2011 the Ternopil National Economic University received the International certificate of quality of the Swiss institute of the quality standards of "SIQS" (Zurich). In 2012 the TNEU was awarded by a cup and the diploma for the Grand Prix in the nomination "The International Cooperation in Science and Education". The TNEU has Branches in Vinnytsya, Ivano-Frankivsk, Lutsk, Kalush (Ivano-Frankivsk region), Sambir (Lviv region), Svalyava (Transcarpathian region), Kamyanets-Podilskyy (Khmelnytsk region), Novovolynsk (Volyn region), Chortkiv (Ternopil region), Foros (Crimea). Pavlo Tychyna Uman State Pedagogical University is a modern higher educational institution which carries out the activities for the IV level of accreditation. Today the university is a modern higher educational institution which unites 4 institutes, 12 faculties at which preparation on 25 licensed specialties is conducted. The University has 39 departments, 494 academic staff, including 4 academicians, 44 doctors of science, professors, 163 associate professors. For years of the existence the university had trained 47162 experts. Many graduates became masters of pedagogical work, reached tops in science, are elected Deputies, statesmen. A number of students of university became teachers of many higher education institutions of Ukraine. The university has experience of effective international cooperation with institutions of the USA, Great Britain, Canada, France, Poland, Germany, Finland, China, Russia, Belarus, Moldova. Scientists - teachers of University and higher education institution are members of 17 international administrative structures, associations and societies in England, the USA, Sweden, Denmark, the Netherlands, Russia. Material base: 4 educational and laboratory cases, educational workshops, scientific library, reading rooms, 4 laboratories of informatics, 3 language offices. The university has experience of effective international cooperation with educational institutions of the USA, Great Britain, Canada, France, Poland, Germany, Finland, China, Russia, Belarus, Moldova. Scientists - teachers of University and Higher Educational Institution are members of 17 international administrative structures, associations and societies in England, the USA, Sweden, Denmark, the Netherlands, Russia. Dormitory – UAH 400 ($50) per month/UAH50 ($6.25) per night. Ostroh Slavik-Greek- Latin Academy is the first higher educational institution in Ukraine and Eastern Europe, was established in 1576 by the prince Vasily-Konstantin Ostrozhsky and the princess Galshka Ostrozhska. Studying of seven free sciences was the basis for activity of Ostroh Academy (grammar, rhetoric, dialectics, arithmetics, geometry, music, astronomy), and also the highest sciences traditional for medieval Europe, however absolutely unusual to the Ukrainian education: philosophies, divinity, medicine. Students of Ostroh Academy mastered five languages: Slavic, Polish, Hebrew, Greek, Latin. Material base: modern material base, only virtual scientific library in Ukraine, computer classes, the Internet, specialized methodical offices, publishing department, library, a sports complex, the cultural and art center, the regional resource center of learning of foreign languages, participation in the international exchange programs, possibility of gain the education on two specialties. Scientific, teaching and educational process at the National University "Ostroh Academy" is provided with auxiliary departments which provide various services to students and teachers, inform about the events at university, support communications with other establishments, etc. Among resources which are provided to students, teachers, workers and guests of university are a scientific library, publishing department, department of public relations, the center of studying of inheritance of Ostroh Academy, employment department, the resource centers, methodical offices. The National University "Ostroh Academy" presents Ukraine in the international exchange programs. Implementation of the bilateral youth Canada-Ukraine project (CORE) gives the chance to students of university to be for several months in Canada, to get outside of experience of the country in economic, social, administrative, educational and other spheres, to meet people of different nationalities who live in Canada, and features of their culture, to improve knowledge of English and French languages. Students and teachers pass training in the USA, Canada, Germany, Switzerland, Sweden, France, Great Britain and Poland. On October 30, 2000 the Ostroh Academy was given status of National University. The university has good reputation both in Ukraine, and in foreign countries, the activity of Ostroh Academy was noted by the XXVII International prize "For Quality" that was given in Paris. The Ministry of Education of Ukraine noted NAUOA the diploma for an innovative development of education and modern pedagogical technologies and the Diploma for the organization of student's research work. Students annually take part in such programs of training as the Canadian-Ukrainian parliamentary program (CUPP), the Program of Fulbrayt for graduates (Fulbright Graduate Program), the Program of an exchange for graduates of Edmund Maski (The Edmund S. Muskie Program), Lane Kirkland's Program (Lane Kirkland Program), Youth Project "Canada-Ukraine" (CORE), the Ukrainian-Canadian Netkor program (NetCorps), the Unilateral pilot program "Canada Korps" (Canada Corps), educational tours to Poland (Study Tours to Poland), studios of Eastern Europe, etc. The National University "Ostroh Academy" cooperates with the following organizations abroad: Ukrainian histirical community (USA), International fund of the Ukrainian studios (Canada), Fund of social and economic initiatives (Poland), ABi Associates Ltd (Great Britain), KnowledgeTransfer Fund (Germany), etc. ; many HIGHER EDUCATION INSTITUTIONS in the USA, Canada, Poland, Germany, Great Britain, Scotland, Slovakia, Australia, Belgium, Sweden where students and teachers have opportunity to pass training. More than ten foreign grants is appointed annually to the best students of university for achievements in study and public work. I. Malynovskyi Institute of Law ("Law"). 21 school of sciences, postgraduate study and doctoral studies. The university was founded on March 4, 1966 on the basis of the Kiev branch of Donetsk Institute of the Soviet trade. In April, 1994 the Institute received the highest IV level of accreditation. 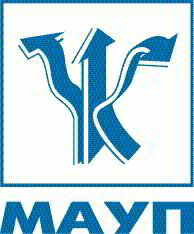 In August, 1994 on the basis of the Kiev Trade and Economic Institute was created the Kyiv National University of Trade and Economics. 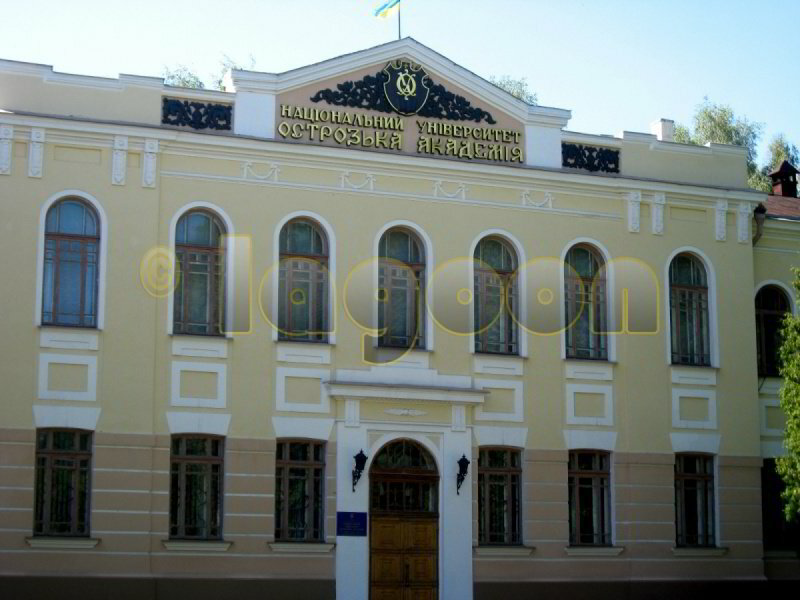 By the decree of the President of Ukraine of September 11, 2000 the University was given the status of the national. The structure of KNTEU includes Vinnytsia trade and economic institute, Chernovitsky trade and economic institute, the Kharkov trade and economic institute, Kolomyysky economical and legal college, Trade and economic college (Kyiv), Khmelnytsky trade and economic college, the Vinnytsia trade and economic college, the Highest commercial school (Kyiv), the Kharkov trade and economic college, Chernovitsky highest commercial school, Uzhgorod training center, Kolomyysky educational-consulting center, the French-Ukrainian institute of management, the Center of a business foreign language, the Center of pre-university preparation, department of pre-university training of foreign citizens. Also the university has Industrial practice association, the Center of educational and training firms, the Center for certification of production of services and the quality systems, the Higher pedagogical school. The University structure, except basic establishment where 5 faculties are functioning, includes 4 educational institutes, 12 colleges and the highest commercial schools located in Kiev, Kharkov, Vinnytsia, Zhitomir, Burshtyne, Chernovtsy, Khmelnytsky, Uzhgorod, Kolomye, Yalta. Having a big scientific, methodical, and practical experience in introduction of modern forms and methods of the organization of educational process, the University carries out functions of the scientific and methodical center for higher educational institutions of Ukraine on training specialists in the fields of knowledge "Management and administration", "Services industry" of the direction of preparation on merchandizing and trade business, and also for system of the State treasury of Ukraine. It is also the developer of state standards in these directions. The University positions at the international level constantly increase. The University has creative long-term communications with 70 higher educational institutions, the international centers and establishments from 25 countries of the world. Here is carrying out the exchange of teachers, students, the international projects concerning integration of the higher education, retraining and professional development of experts. The University is the member of the prestigious international organizations such, as the International association of universities, the European association of the international education, the International union of merchandizing and technologies, the Russian association of a business education, Association of the advanced university highest schools of business, the International association of the highest and secondary educational institutions of trade and consumer cooperation, the World association of a recreation and rest. The university publishes the scientific magazine “KNTEU Bulletin”, the international scientific and practical magazine. The KNTEU scientific library is founded in 1948 as library of branch of Donetsk institute of the Soviet trade (book funds - 20 thousand copies). Since 1966 it became a library of the Kyiv Trade and Economic Institute. There are 9 departments, 7 reading rooms, subscriptions, MBA, special sectors: multimedia library, hall of foreign literature, halls of catalogs and electronic information in the structure of the library. The library fund has more than 1,200,000 units. Department of pre- University training was established in 2001 to development of educational, scientific, methodological activity, rendering of information, consulting to foreigners. Department of pre- University training of foreign citizens prepares foreigners for further study in the University. In the period of study foreigners living in modern equipped dormitories located near the campuses. Rooms are designed for two or three people. The main task of preparatory department is to capture foreign nationals Ukrainian or Russian language and the basic sciences to the extent that is necessary to continue the study of economic, psychological and humanities in KNTEU or engineering and medical professions in other universities in Ukraine. 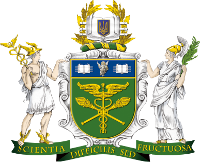 The University as a basic educational institution in Kiev has 6 educational and laboratory cases. 1. 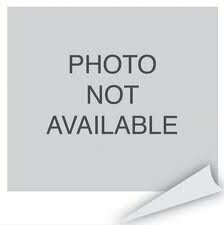 The educational and administrative case. There are educational audiences and laboratories of faculty of economics, management and the law, faculty of restaurant, hotel and travel business, faculty of merchandizing and trade business, faculty of finance and banking, and also dean's offices and institution administration. 2. The educational and library case. Here are lecture audiences and the largest library in Ukraine. 3. The cultural and art case which have the big assembly hall on 800 places and the secretariat of a selection committee, and university archive. 4. The educational and training case. In the case place the Institute of the top skills, the French-Ukrainian institute of management, the Center of educational and training firms, the Center of pre-university training of foreign citizens, the Center of foreign business language, etc. 5. Educational and administrative case. Here are dean's office and initial audiences of faculty of the account, audit and economic cybernetics, the center of pre-university preparation, a gym, the assembly hall on 400 places, a dining room. 6. Industrial and practice case. Here are located the industrial practice association, laboratories of technology and the organization of restaurant economy, a canteen of university. 7. Sports complex with a field athletics arena, a tennis court, stadium with an artificial lawn and a student's city for more than 2500 places. 65 Doctors of Sciences, Professors, 148 Candidates of Sciences, Associate Professors. The KIU trains specialists: international lawyers, international economists, international relations specialists, teachers, journalists, psychologists, workers of social sphere, political analysts, translators, teachers. Material base: 39625 sq.m of own areas, specialized offices with modern technical base: hall of a court session, the criminalistic range, psychological laboratory, language and computer laboratories, modern educational a TV and radio studios, sports, training, choreographic halls, workshops of actor's disciplines, library and a reading room with modern professional literature - 10200 copies, free Internet access, own All-Ukrainian newspaper "Postskriptum Plus", own publishing base, student's parliament, clubs, ensembles, the KVN team, scientific circles, creative studios, a soccer team. The high level of education is impossible without the scientific work. International legal, political and economic aspects of the European integration, protection of human rights, the international and national aspects are the main directions of scientific researches. For 2008-2009 academic years scientific and pedagogical employees of the University had prepared 20 monographs, 59 textbooks and courses of lectures, 39 scientific and practical conferences from which 23 are student's. Scientists of University carry out development of research programs for the most actual problems of the present. The academic council, scientific and publishing council, other associations which provide coordination of educational, scientific and methodical, cultural, sports and educational activity of structural divisions, and also 3 research institutes - scientific research institute of economic and humanitarian problems, Scientific Research Institute of the globalisation and European integration, scientific research institute of Oriental Studies are function at the University. Since 2003-2004 academic years, the Kiev International University is the active participant of the International projects according to the program of the European Union of TEMPUS-TASIS: "The European standards of teaching of economy of the international tourism", "The European experience of student's self-government in universities of Ukraine", "The analysis of crises and decision-making in Ukraine" and "The European-Ukrainian approach to definition of an interuniversity rating in Ukraine". Thanks to implementation of the international projects computer classes, a class of videoconferences which is used for carrying out lectures by the European teachers were equipped, created the resource center of University. Students of the specialty "International Relations" who study according to the "Analysis of Crises and Making Decisions in Ukraine" program, have opportunity also receive the diploma of the Roman university "La Sapienza". Medical and Pharmaceutical Faculty (Pharmacy). Specialists are trained according to three educational levels: Bachelor, Master; programs of a second higher education have also been functioning (Specialist). Library, Reading Hall, Criminalistics Ground, Computer Classes, Chemistry Classroom, Physics Classroom, Language Labs, Gym. Language courses KNOWLEDGE under InterTEST Ukrainian-British Academy of Kyiv International University (English) 2000 $ USA / year. Internship and training programs for foreign citizens, companies and organizations 1000 $ USA / course. Term of training – 1; 1,5; 2 years. Management of foreign economic operations. Modern construction materials and technologies. Cross-cultural art-therapy and integration into the new educational and cultural space. Methodology of teaching foreign languages and literature in middle and high schools.